If you are one of the millions currently in the market for a job, your primary goal is probably a full-time, permanent position. But your single-minded pursuit may be eliminating a number of positive opportunities to be found in the realm of temporary, temp-to-hire, and direct hire positions. If you are seeking employment through a staffing agency, you may be confronted by employment opportunities that you may initially overlook but could benefit from a more open-minded approach. Temporary jobs are just that: jobs that may last a day, a week, several months, or even indefinitely and can be full time or part time. If you are just out of college, changing careers, or reentering the job market after a long hiatus, temporary jobs can be a great (re)introduction to the workforce and allow you to earn money and valuable experience while you continue your search for full-time employment. But strictly temporary work is just one possible option. An alternative to temporary jobs are so-called temp-to-hire positions, designed as a sort of trial run up to permanent employment. Temp-to-hire positions are akin to simple temporary positions in that they define an initial time frame that an employee is guaranteed employment. 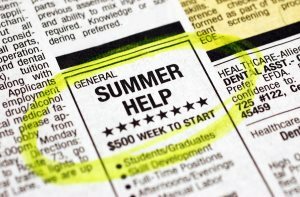 But unlike temporary positions, temp-to-hire jobs can potentially lead to full-time employment. Such positions are typically utilized by employers seeking out replacements for vacated positions or when creating new positions that require some experimentation in order to define a precise role. Whatever the reason, temp-to-hire positions benefit employers who don’t yet want to commit to a salaried employee. Direct-hire jobs are more rare than the previous alternatives to permanent employment, but your staffing agency may have a limited number of opportunities for the right candidates. Direct hire positions are almost identical to permanent, full-time positions to which you apply on your own, but your relationship with a staffing agency may benefit your chances for employment as they help to recommend job candidates and aid in the candidate search. Though direct hire jobs are typically more difficult to come by through an agency, agencies can give you an advantage over blind applications thanks to positive referrals and pre-screened qualifications matching. All of these alternative positions offer positive benefits that may be worth considering while pursuing a full-time, permanent position. Thanks to the ability to build a stable of solid recommendations while expanding your professional experience without a long-term commitment, temporary positions can be a stepping stone into full-time employment and open up career options and employers that you may have never otherwise become aware of.